Spinning Globe's advice for getting to and around Chile. With huge distances to cover (it’s more than 5,000km by road from Arica to Punta Arenas), flying is a very popular way of getting around in Chile. Fares are quite high, compared to other methods of travel, but flying will enable you to see more major sites on an itinerary. The leading airline is LAN, which besides offering the widest choice of domestic flights, is Chile’s principal long-haul carrier and the only one offering flights to Easter Island. Sky Airline has more limited routings but usually lower prices. There are Air Taxis and regional airlines, who operate regular services to smaller destinations around Puerto Montt and Puerto Williams. These services can be delayed by bad weather. They will also only fly with minimum six passengers, but some also offer flights from Santiago to Robinson Crusoe Island. Long distance buses represent great value for money and are far better than their US or European counterparts, but 3+ days on a coach is never going to be the best thing you remember about your trip. The Chilean coaches have lots of legroom, depending on the company you choose. Prices naturally increase according to comfort level – Pullman or Clasico are usually standard reclining seats, a semicama has better seats, with twice the legroom and Salon Cama is the top of the range, with wider seats and almost-horizontal recliners. All buses have toilets, some offer food and snacks, whereas others stop at restaurants (set meals may be included in the price) en route. Try to get on and seated early, either to get close to video screens, or to find a more peaceful spot. Buy your ticket at least a few hours in advance and preferably a couple of days, especially if travelling on a Friday. Even with air conditioning, seats on the sunny side of the bus can get very hot. If you’re travelling north of Santiago on a long-distance route, or crossing an international border, the bus and all luggage may be searched by Ministry of Agriculture border officials and all sandwiches, fresh fruit and vegetables will be confiscated/destroyed. Often called micros, local buses connect suburbs and villages with the city centre. These buses are often busy, so travelling with a large bag can be awkward. The main points of the route and final destination are displayed on the inside of the front window, but it always helps to carry a street map and be able to point to where you’re going. Colectivos are shared taxis operating along a set route with fixed fares and are normally only slightly more expensive than local buses. Most look like regular taxis (they are all black, not black and yellow) and have their route or final destination marked on a board on the roof In some cities they are bright yellow cars, often without a roof-board. Taxis are normally black with a yellow roof. It’s very easy to fall foul of overcharging, so always make sure the meter has been turned on before your journey begins. It’s a good idea to get an estimate too, before you commit to a journey. As mentioned, public transport in Chile is pretty good, but as most visitors to the country want to get off the beaten track, this can be difficult unless you hire your own car. You must be 21 years old or over to rent a car in Chile and have a major credit card. You’re allowed to use your foreign licence, but are strongly advised to bring an international driving licence (available from the UK Post Office), as the Chilean carabineros (Police) are often suspicious of unfamiliar foreign licences. Speed limits are 50km/h in urban areas and 100km/h on highways and radar type speed traps are fairly common. Oncoming cars flashing their headlamps usually signifies Police lurking ahead. If you do get stopped, be polite and courteous and under no circumstances attempt bribery. 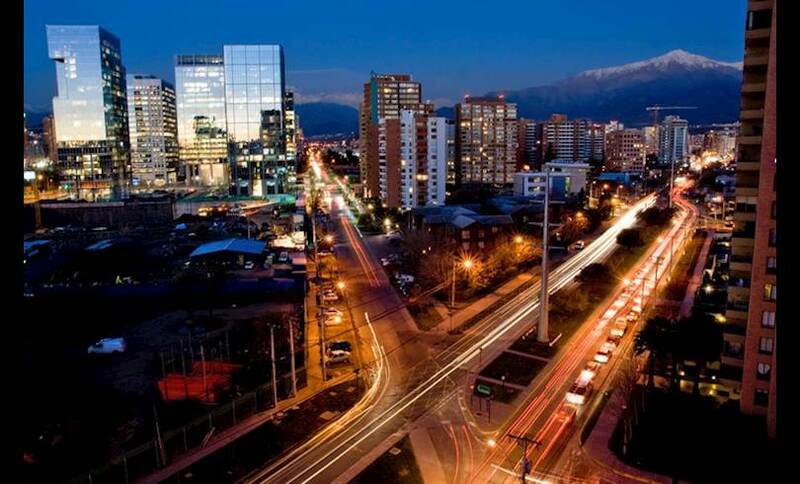 Many international car-rental companies have offices throughout Chile, as well as an abundance of local companies, which can sometimes be cheaper. Rates vary quite a lot, so it’s worth shopping around. Basic cars can be rented for around $400-500 per week. Make sure the quoted price includes IVA (19% VAT), insurance and unlimited mileage. Petrol is around $7-$9 per gallon. Most towns and cities are a grid plan layout, usually with one-way systems. The direction will be indicated on each corner, with a white arrow above the street name. If in doubt, check which direction the parked cars are facing. Parking is allowed on most streets (on one side), but watch out for cuidador de autos – someone who will offer to look after your car for a tip. This is unnecessary. In rare occasions where you can’t find a space, look out for large estacionmiento signs, which indicate private car parks. If, like most people, you’re heading off the beaten track, then be sure to rent a suitable vehicle, such as a 4X4 – this is essential for altiplano driving. Make sure you also take two spare tyres and more than enough fuel in jerry cans. It’s a good idea to take a couple of five litre water bottles, as it may be necessary for the vehicle, or passengers if you overheat in the wilderness. A compass is also helpful. If you should get a puncture, then even the smallest towns have tyre shops, usually signified by a tyre painted white outside. We don’t recommend hitching on Spinning Globe, but hitching is very common in Chile, especially with the locals. It’s not uncommon to see whole families hitching into or out of town. A scenic and somewhat romantic alternative to flight and long-distance buses, ferries are a great way to navigate the fjords, inlets and channels south of Puerto Montt, where the mainland gives way to the southern archipelago. Two ferries in particular are very popular: the route between Puerto Montt to Chacabuco and the San Raphael Glacier and the route between Puerto Montt and Puerto Natales. There are also ferries to Quellon on Chiloe and with Chaiten on the Carretera Austral, as well as a number of shorter routes, which effectively form a bridge along the Carretera Austral. Lastly, there’s a ferry across Lago Todos Los Santos, in the Lake District, connecting Petrohué with Peulla, near the Argentine border. Petrohué–Peulla, across Lago Todos Los Santos Five hours crossing (daily, year-round) with Andina del Sud. Puerto Montt–Chacabuco 24 hour crossing (one sailing per week - year-round) and TransMarChilay. Puerto Montt–Chacabuco–Laguna San Rafael Five days, four nights (returning to Puerto Montt); one sailing per week (year-round) and two, three or four with TransMarChilay (year-round). Puerto Montt–Chaitén Ten hour crossing one sailing per week with Navimag (Jan&Feb); three or four per week with TransMarChilay (year-round). Puerto Montt–Puerto Natales Four days, three nights; one sailing per week with Navimag (year-round). Quellón–Chaitén Five-hour crossing (three sailings per week - Jan & Feb). If you have the energy and stamina, traversing Chile by bike is a very rewarding experience. Faster than walking and more exhilarating, cycling enables you to feel the wind in your face and brings the senses alive. The other bonus, is that you’re completely independent of timetables and schedules. If you’ve decided cycling is for you, then be sure to bring as many supplies as possible from home, so you’re not reliant on local suppliers, who can be less than reliable and often no-existent outside Santiago. A good, sturdy mountain bike is a must, along with locks or chains, a repair kit, lights, strong racks with waterproof panniers and a jacket and over trousers. All equipment should be packed in sealable plastic bags, to ensure they are kept dry and free from dust and dirt. When out on the road, be aware that long stretches are completely devoid of accommodation, or any facilities; you’ll need to be completely self-sufficient and prepared. Some bus companies will not transport bicycles unless you wrap frame and wheels separately in cardboard. The main danger of cycling in Chile is the drivers – make sure you wear bright clothes and make yourself visible, with appropriate reflective gear and lights for low light conditions. It goes without saying, that a helmet is 100% necessary: it’s illegal to write without one in Chile. Gone are the days where Chile possessed a huge network of railways to support its nitrate ore industry; there are now no railway lines operating north of Santiago and what is left of the rail network south of the capital are unable to compete with buses on both price and punctuality.